Follow one dog on her struggle to survive in the African wilderness. The Okavango Delta in Botswana, a country in southern Africa, is a natural paradise. It is the perfect place to live for large numbers of predators, including lions, leopards, hyenas▼ , jackals▼ , African wild dogs, and more. Competition between these dangerous animals is brutal▼ . 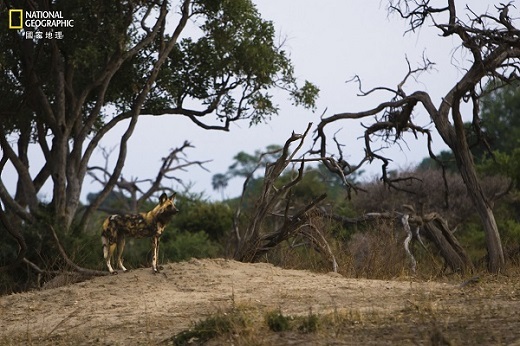 Once there were huge packs of African wild dogs living in the delta on Mombo Island. Thanks to competition from the other predators, however, all but one of the wild dogs left the area. 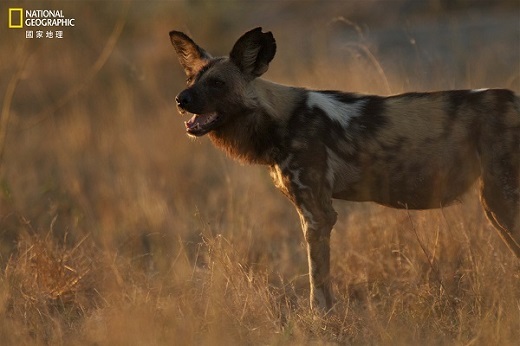 The last wild dog is named Solo, and she is the star of National Geographic's A Wild Dog's Tale. 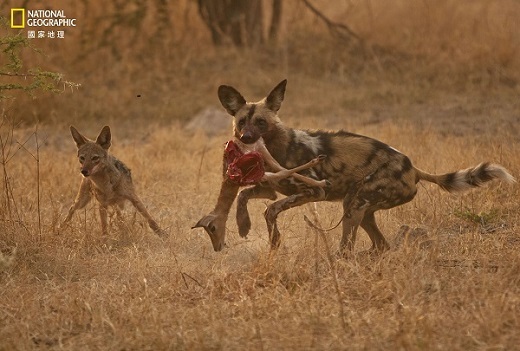 For six months after the other wild dogs left, Solo hunted by herself and avoided other predators. African wild dogs are born to work as a pack, so it is amazing that she survived for months all alone. After a while, something surprising happened—Solo began making friends with the other predators in the area. She even raised some jackal pups▼ as her own. 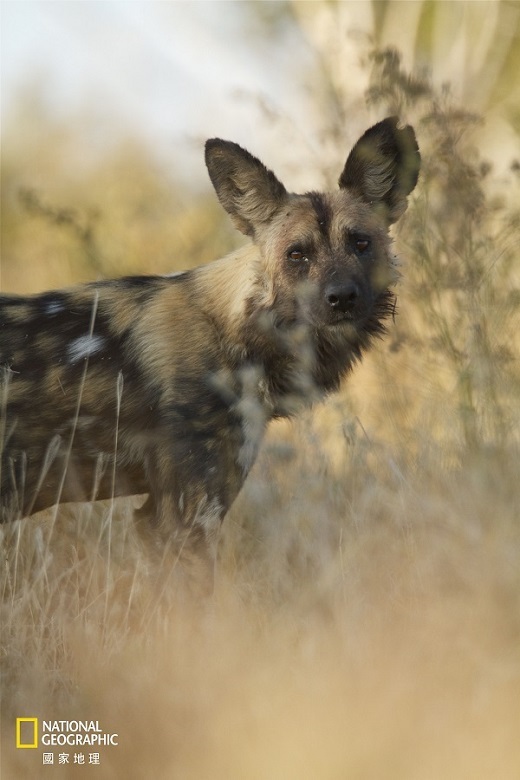 Now, a new pack of African wild dogs has appeared in the delta, and Solo must choose to stay with her adopted family or return to her own kind. Tune in to National Geographic's A Wild Dog's Tale this month to find out how Solo's story ends. The class was like a pack of wild animals once the teacher left the room. The tour guide suggested that we should avoid street food if we didn't want to get sick. Jack believed that he was born to be a leader. Sitting in the living room with the curtains drawn, Tom felt all alone. Everyone wants to make friends with this friendly and lovely girl. John and Mary have two adopted children and one of their own.